This guest post is from longtime online friend Dani Gillman, mom to an 11-year-old daughter (who happens to have autism) and a two-year-old son (who, she says, “doesn’t appreciate the value of naps.") Dani and I originally connected when she wrote the blog I’m Just That Way and That’s Me. Dani referred to her daughter as Little Bird—the inspiration for Birdhouse, the highly acclaimed, Detroit-based startup empowering parents raising children with special needs to learn more about them through a behavior-journaling app for iPhone, Android and the web. Which makes Dani a bona fide mom expert and an expert expert! Dani is real and funny and super-smart, so give a read. The start of a new school year can be a very stressful time filled with worries about what to expect: Will the teacher be good? Will the kids be kind? Will the work feel like it’s too much? And that’s just the nerves of the parents! Our last teacher left very abruptly just as my daughter Brodie got used to her and let her guard down enough to let her in. In fact, we haven’t yet been assured that the therapists and support staff she’s used to will be returning either this year. Then there are the concerns about whether the IEP will be followed, whether the accommodations will be enough and whether a child will be bullied (GULP). With so much out of our control and up in the air, it helps to create structure that we can count on. These are some simple tips that have worked for me and other parents I know. As unpredictable as school can be, it can help a student to feel comfortable knowing there’s predictability at home, especially when he returns home. So establish firm routines for different parts of the day. At our house, we set out clothes the night before, and make sure shoes are by the door. I do my best to have the basics of lunch packed, letting Brodie pick one or two items to include. This not only gives her some control, but also helps set her expectations about what’ll be her lunch box. My daughter has a tough time making choices and no one makes good choices on an empty stomach anyway, so we plan out our breakfasts for the week. When Brodie gets off the bus, we unpack her backpack together and read over the teacher's notes. She often asks for a snack and I like to have two options available so she's not overwhelmed by choice. We have a swing in our living room (this Southpaw one) and she usually grabs her iPod and listens to music while she swings for a bit. This helps her to re-regulate after a long day. Plus, it gives her a little bit of time to herself after having to "perform" and interact with people making her work all day school! 2. Establish a good rapport with your child's teacher. Given that every teacher needs to communicate with a bunch of parents, find out early on what form of communication he or she prefers—anything to make it easier to facilitate the sharing of information. Don’t beat around the bush here. Let your teacher know what information is important to you. I tend to care less about what got worked on in art class, but I always want to know whether Brodie followed directions during the day and even whether or not she ate her lunch since I know that tends to dictate her after-school energy! I always make it clear to teachers and therapists that we’re committed to supporting at home the work they’re doing in school, so if there’s something that they’re working on there, to let me know how I can incorporate that into our home life. Not only will this help solidify concepts for your child, but it reinforces the “team” approach between you and the school staff. 3. Talk about the school day with your child. I know how tired we can all be at the end of the day, but this is an important one. For a child with limited verbal abilities, ask pointed questions based on the information that your teacher provides. So if your teacher writes “Today we made sock puppets in art class,” you can simply ask, “What did you make in art class today?” or even “Did you make a sock puppet in art class?” Before my daughter was verbal, I would even make statements with a fill-in-the-blank tactic: “Today in art class, I made a ____.” Before Brodie was able to use compete sentences, she could usually speak in one-word utterances or even just approximations, so I always encouraged her to fill in the blank verbally, however she could at the time. If a kiddo isn't able to use her voice, she could respond with signs or PECS or whatever form of communication works best for each individual family. Even if your child has a tough time sharing information on his own, or struggles to reciprocate in conversation, when you talk about about his school day, you show him you care and you're interested—and you're encouraging him to be successful. 4. Communicate with your child’s mainstream teacher, too. We're all running around nonstop, hoping to remember the little things that could actually be the big things. 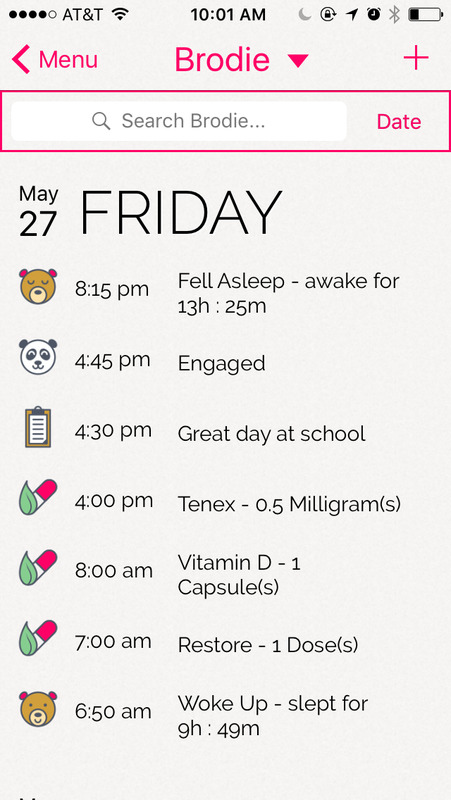 I created Birdhouse to keep a record of everything including therapy appointments, medication dosages (and whether each dose has been given) and the circumstances surrounding certain behaviors, and help put parents' mind at ease. 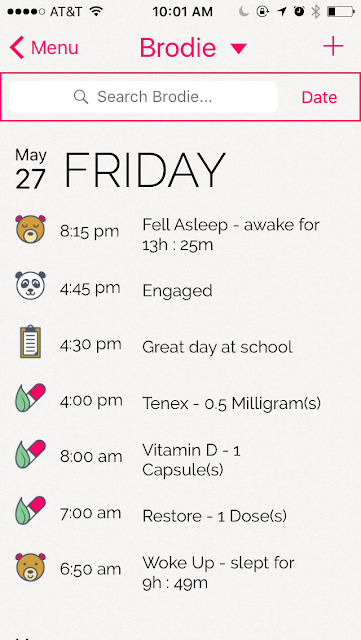 Bonus: You can easily relay information to everyone on your child's care team—parents, caregivers, therapists, doctors, and yes, even teachers, to make sure they know what’s going on with your kid. If she’s having a tough day, anyone you give access to can see the notes in your Birdhouse account and discover that, say, she only slept for three hours the night before. Or, you know, hasn't pooped in five days. The more insight you have into your child, the more you can support him and set the groundwork for a successful school year! Parents raising students with special needs, I join you in solidarity (and anxiety!) as we face another school year! High fives all around! School is a performance. I wish Brodie luck. These are all awesome tips as we head into our first school year experience next year when both my kids go to school. I'm already a wreck about not having kids at home anymore, and all the stress about all the teachers, therapists, everything. I'm definitely going to have to check out your app! Superb tips are shared here. Thanks you so much for sharing it here. I loved your blog. You have done this with perfection. Your effort is clearly visible. Thanks once again. Looking forward for the new posts. Thanks.